DVDs are excellent media for entertainment and even in business. They become significant feature of each and every household. They are also especially vital for their dependability and massive storage capacity. In today’s innovative media and entertainment platforms, DVDs are still popular because of their comprehensiveness. Also, most of the television and cinema movies are now included in DVDs. In this manner, the necessity of converting such television and cinema movies into a certain compatible format rises day by day. In the internet there are several DVD maker software are now available. Some of the software are free to use, while some require the user to purchase them legally. Depending on the type of data, you can select from free and easy DVD creator software or advance authoring software. These free versions are ideal for basic DVD making, but proficient DVD making would require advanced software. Creating your own DVD is an excellent way of sharing your special videos with family and friends. It also a way of reminiscing all the happy moments you have with your special someone, family and friends. So if you want to know the top 10 DVD maker software, here is the list for you. Power Producer is a very flexible DVD maker application and can execute more functions compared to simple DVD authoring application. It has disc utilities, direct to disc tools and AVCHD support. The authoring application has a unique feature called the “Members Zone,” where uses can download and upload various templates and themes developed by different members for free. In Power Producer, you can make a photo slideshow, a menu centered DVD or a mixture of both. This software is perfect for more colorful and dynamic DVD creation. Xilisoft DVD Creator is a quick and easy to operate DVD authoring software, which lets you completely modify and convert the end result. This software provides you all the selections to burn accurately the DVD you like. The DVD can be created or converted from WMV, DivX, AVI, MPEG, XviD, MP4 or AVC/H.264 formats and many others. It also has a supported conversion process, which gives you the versatility in creating high definition DVDs. Muvee Real X is one of the popular DVD creator software designed for easy and quick conversion of video footage and pictures into more professional and appealing mosaics. It has advance tools that can instantly improve the quality of your video. This software also has 10 styles included on the platform and it works with a various range of high quality formats. It also helps you to easily and quickly import videos from your digital cameras, camcorder or phones. 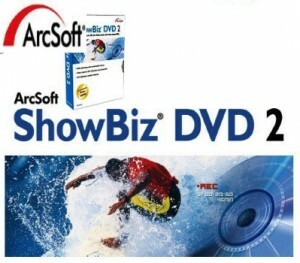 The ArcSoft ShowBiz DVD is a simple yet versatile DVD authoring application that has everything you want to edit or customize home videos and produce expert looking DVDs. The authoring software features an easy and simple storyboard outlook for basic video classification and more professional timeline outlook providing you better control over your audio tracks, movie clips and transitional effects. The application also features a versatile picture slideshow expert and a complete set of DVD authoring facilities for transforming your video makings into a professional-looking DVDs. DVD-lab PRO is one of the well-known DVD authoring software because of its wide range of DVD features. This authoring software is ideal for professional users who need manageable and easy to use facility. DVD-lab PRO is also full Multiple-VTS software, which lets the use to place various aspect ratios or flicks with various audio streams on a single DVD. 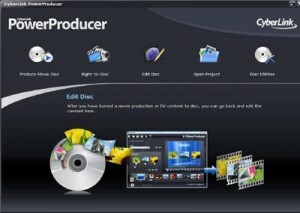 This DVD maker application is perfect for those users who want a high-end production. AVS DVD Authoring is an advanced DVD creator that can also be used as a burning software that is easy to use and allows you to do more activities with your media files. This software was developed to aid you in organizing your video footage into a decent and professional-looking DVD project. You can easily make DVD movies with great music, effects and titles. AVS DVD Authoring also has professional and unique presets, which improves the quality of your movie. 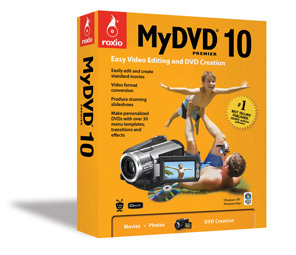 Roxio MyDVD is one of the most recognized DVD maker software in the market. This software lets users to easily transform home videos and images into expert-quality DVD making. It has several advance functions for versatile editing, timeline markers and video piece removal. It also has sufficient facilities that automatically modifies color and eliminate background noise. It also features a Mobile PhotoFit that changes the size of digital photos for reduced mobile gadget displays. Womble EasyDVD is another DVD creator software that makes your DVD creation as quick, easy and instinctive as possible. With its six step work-course, you can now create your own high-definition DVD in a just few click. Womble EasyDVD connects Womble’s proficient version technology for MPEG-2 videos. It also has a wide-ranging and versatile menu outline support, which suits to all users, from amateur to an experienced professional. Sony DVD Architect Studio is a one of the best DVD maker program that lets you make professional-looking DVDs on your PC. With this top DVD maker program, you can quickly make submenus, scene chaptering, anime menus and thumbnails and integrated music. This program also provides a few varieties of template themes, backgrounds and buttons, but it also allows you to place your own graphic buttons and backgrounds. 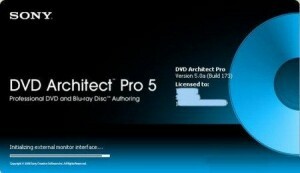 Sony DVD Architect Studio is the perfect program if you want to have a unique and high-definition movie. 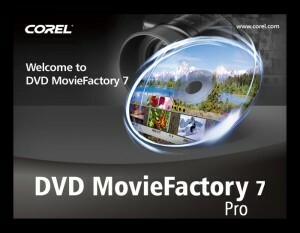 Corel DVD MovieFactory Pro 7 is a very powerful and versatile DVD maker and burning software for promptly turning home videos and photos into expert-quality AVCHD, DVD and Blu-ray discs. This proficient software features Hollywood-class gesture menus and unique effects. It also has specialized templates for more elegant and appealing DVD movie production. With its advanced tools, users can quickly make music discs, record directly to disc, back up files and easily play AVCHD discs and DVDs. The top 10 DVD maker software are just a set of various software or programs that you can choose for DVD authoring. However, selecting a good program or software is always important. The selection of good software has great significance in the entire process. Also, a good software can guarantee the good quality of DVD production.